(PRLEAP.COM) Asset Management Group, Inc. of Stamford, CT., is pleased to announce that Michelle Hazzard has been promoted to Executive Director. 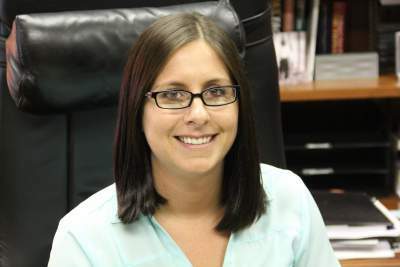 Having successfully completed all course work and passing the required Connecticut State exam to obtain a license from the Department of Insurance, Michelle is now authorized to provide guidance to clients in the areas of life and health insurance. Her knowledge of the various types and applications for individual life insurance, general policy provisions, disability, health insurance and relevant Connecticut statutes and regulations will greatly enhance the services she provides to the clients of Asset Management Group, Inc.
A Norwalk resident, Michelle is a graduate of Sacred Heart University with a Bachelor's Degree in Business Administration, with a concentration in management. She began working at Asset Management Group 6 years ago as an Administrative Assistant, and has been a rising star, while attending classes at night and continuing to work, full time. After receiving her Registered Paraplanner (RP) designation from the College of Financial Planning in 2007 she was promoted to Client Services Coordinator. During her tenure she has been responsible for addressing all aspects of the firm's clients' financial planning and administrative needs, and can now add insurance to her areas of specialty. In addition to helping clients achieve their goals, Michelle is also responsible for assisting in the creation and implementation of comprehensive financial plans, designed to assist clients in reaching their financial objectives. Michelle's portfolio also includes being responsible for the education and mentoring of new employees to ensure they are fully acclimated and knowledgeable about the firm's core beliefs and responsibilities to both the clients' planning teams and the clients themselves. Michelle is on course to earn her Certified Financial Planner designation in 24 months.